ÃÂ A classic work of history, ethnography, and botany, and an examination of the life and environs of the 18th-century south. William Bartram was a naturalist, artist, and author of Travels through North and South Carolina, Georgia, East and West Florida, the Cherokee Country, the Extensive Territories of the Muscogulees, or Creek Confederacy, and the Country of the Choctaws. The book, based on his journey across the South, reflects a remarkable coming of age. In 1773, Bartram departed his family home near Philadelphia, Pennsylvania, as a British colonist; in 1777, he returned as a citizen of an emerging nation of the United States. The account of his journey, published in 1791, established a national benchmark for nature writing and remains a classic of American literature, scientific writing, and history. Brought up as a Quaker, Bartram portrayed nature through a poetic lens of experience as well as scientific observation, and his work provides a window on 18th-century southern landscapes. Particularly enlightening and appealing are BartramÃ¢ÂÂs detailed accounts of Seminole, Creek, and Cherokee peoples. The Bartram Trail Conference fosters Bartram scholarship through biennial conferences held along the route of his travels. 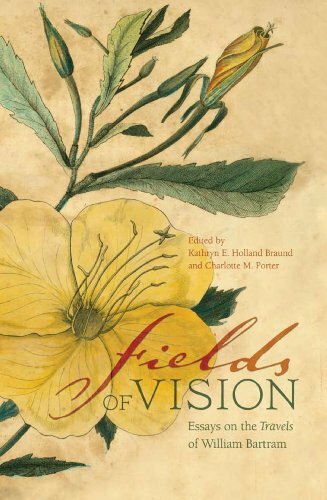 This richly illustrated volume of essays, a selection from recent conferences, brings together scholarly contributions from history, archaeology, and botany. The authors discuss the political and personal context of his travels; species of interest to Bartram; Creek architecture; foodways in the 18th-century south, particularly those of Indian groups that Bartram encountered; rediscovery of a lost Bartram manuscript; new techniques for charting BartramÃ¢ÂÂs trail and imaging his collections; and a fine analysis of BartramÃ¢ÂÂs place in contemporary environmental issues. About: Â A classic work of history, ethnography, and botany, and an examination of the life and environs of the 18th-century south.